Learn About — C.E.M.P. Central Inc. The LearnAbout program is a series of narrated PowerPoint© slides and other resources that enable individuals to develop their Skills, Knowledge and Ability in in equipment management in a relaxed, self paced environment. Lead the world as the first source of expertise and advancement in equipment management. Develop our subject, set standards and advance knowledge through our conduct, inspiration and example. Build a supportive and enthusiastic community of individuals and organizations who define and constantly push the frontiers of knowledge in our shared passion for excellence in equipment management. LearnAbout modules may be downloaded for educational purposes at no cost. The royalty free license that makes this possible prohibits the sale of any or part of any module and neither individuals nor organizations may receive payment arising from the use or distribution of LearnAbout materials. Distinguish between owning and operating costs as two principal equipment cost types and describe how hourly owning and hourly operating costs change through the life of a machine. 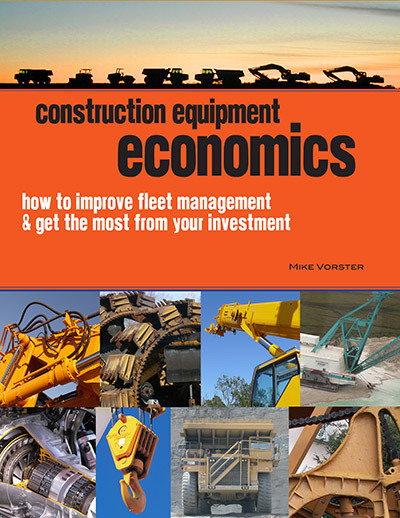 Explain the reasons for and the importance of an hourly equipment owning and operating cost rate. Describe at least six factors that influence the hourly equipment owning and operating cost of equipment. List five action steps to reduce equipment costs.